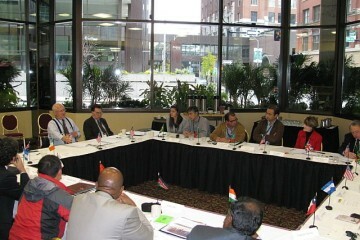 The 12th annual Global Farmer Roundtable held Oct 17-18 again coincided with the week of the World Food Prize Symposium and Borlaug Dialogues in Des Moines, Iowa, giving the participants a fabulous opportunity to interact, network, and share their perspective as farmers with others attending. 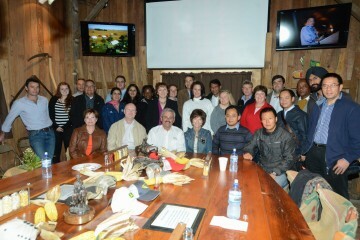 With this year’s edition, the Global Farmer Network now has over 170 members that hail from over 50 nations. For the fifth time, Dr. Nicholas Kalaitzandonakes of the University of Missouri acted in the role as roundtable moderator, moving the lively dicussion amongst the fourteen farmers. The four women and ten men encompassed a wide range of farm and production experiences ranging from aquaculture to developing greenhouses… but, as their predecessors before them, they discovered they share quite a bit more in common than they realized beforehand (see links to media stories below). Laureate award evening at the Iowa State Capitol. Motlatsi Musi the 2017 Kleckner Award winner. 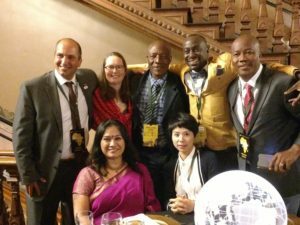 South African smallholder farmer Motlatsi Musi was the recipient of the 2017 Kleckner Award. Raised during the apartheid era, afterwards Musi found his road out of poverty with agriculture and now finds himself in a new activist role concerning biotechnology. 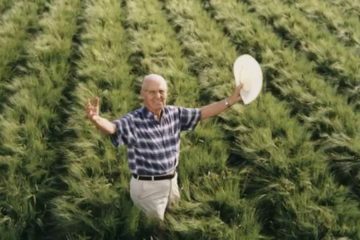 He’s one of the farmers appearing in the documentary “Food Evolution” narrated by Neil deGrasse Tyson. “This is our new fight for justice,” he says. 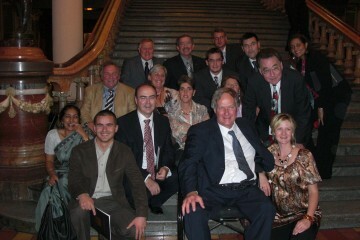 Mr. Musi is the eleventh recipient of the award first given in 2007 and was honored at an event held October 17. Read more about Motlatsi Musi and the other Kleckner Award recipients here. 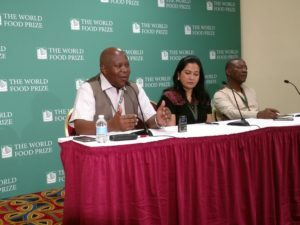 Innovations to Improve Smallholder Livelihoods – Devex and CropLife International hosted Oct 18 event during World Food Prize that included Motlatsi Musi (2017 Kleckner Award, S. Africa). AgriOrbit (South Africa) – “SA farmer receives Kleckner Award” Aug 8 on Motlatsi Musi (2017 Kleckner Award, S. Africa). 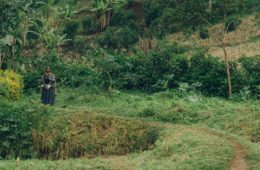 A Year In The Life Of A Farmer – blog by Jake Leguee (GFN, Canada) “The 2017 Global Farmer Roundtable” Oct 9. 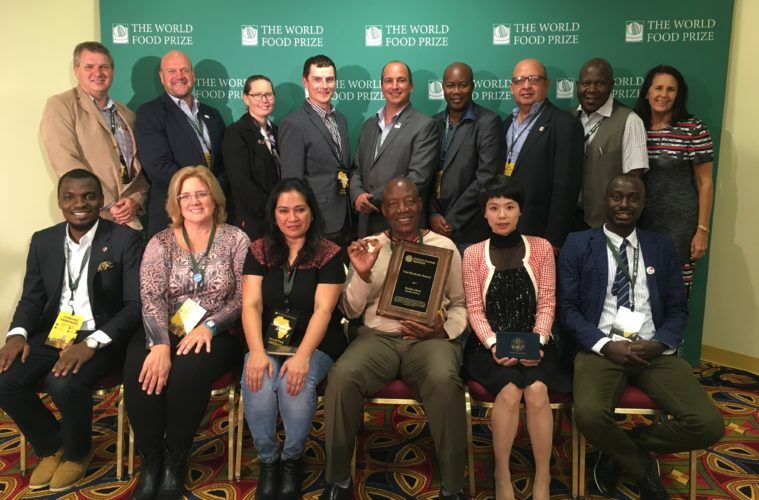 AgriMarketing – “African Motlatsi Musi Named Kleckner Award Winner” Oct 17. Farmers from Tanzania, India, and South Africa taking media questions. 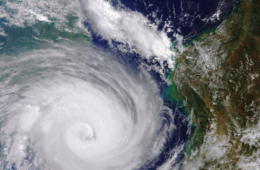 Brownfield Ag News – “Global Farmers Share Similar Concerns” Oct 17, includes audio interviews with Pedro Vigneau (GFN, Argentina) and Jake Leguee (GFN, Canada). 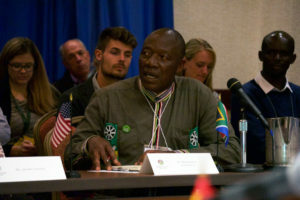 Growing Georgia – “African Motlatsi Musi Named Kleckner Award Winner” Oct 18. Successful Farming – “International Group of Farmers Foresees Protectionism” Oct 17. Successful Farming – “4 Ways to Effectively Advocate for Farmers” Oct 18. Jennie Schmidt (Maryland) and Andrew Osmond (United Kingdom) at WHO Radio. ” Oct 18 (Radio Iowa/Brownfield). 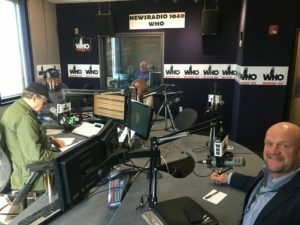 WHO Radio, The Big Show – Andrew Osmond (GFN, UK) and Jennie Schmidt (GFN, US-Maryland) appeared live Oct 19 on widely heard station in Des Moines. KGLO Radio (N Iowa) – “Canadian farmer discusses NAFTA at World Food Prize event” Oct 19. 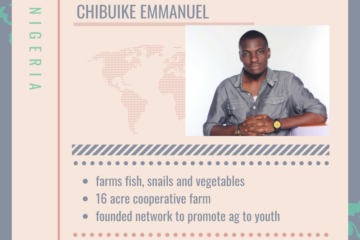 Ag News Daily – “Raising Catfish In Nigeria” Oct 19 [approx 10:30 min mark] interview with Chibuike Emmanuel (GFN, Nigeria). Iowa Agribusiness Radio Network – “Canadian farmers need NAFTA too” Oct 20 with Jake Leguee (GFN, Canada). Ag News Daily – “International Farming” Oct 20 [at intro/start and approx 12:15 min mark ] interviews with Mel Poulton (GFN, New Zealand) and Pedro Vigneau (GFN, Argentina). Farm Journal’s Ag Pro – Biotechnology Advocates Argue Science Vital for Small Farm Livelihood” Oct 20. Iowa Agribusiness Radio Network – “Combating consumer distrust, one farmer at a time” Oct 23. Agri Marketing, Weekly Update – “4 Ways to Effectively Advocate for Farmers” Oct 23. 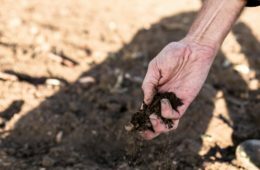 Farm Journal AgTech – “Biotechnology Advocates Argue Science Vital for Small Farm Livelihood” Oct 24. Ag News Daily – “Farming Around the World!” Oct 26 [approx 13:25 min mark] interviews with Jose Rosales (GFN, Honduras) and Andrew Osmond (GFN, UK). 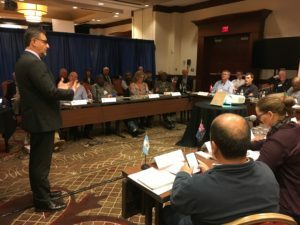 Des Moines Register – “There’s more than one way to raise pigs successfully” Oct 30 quotes from the Global Farmer Roundtable. Aapresid (Argentina) – “Aapresid participo’ del Global Farmer Network” Nov 1, with the group’s president Pedro Vigneau attending. Ag News Daily – “South African Agriculture” Nov 1 (approx 17 min mark) includes conversation with Motlatsi Musi (2017 Kleckner Award, S. Africa). 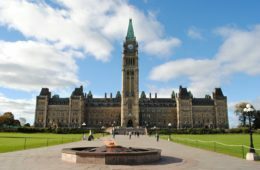 Weyburn Review (Canada) – “Agriculture needs to be higher priority for governments – Fillmore farmer part of Global Farmer Roundtable” on Jake Leguee (GFN, Canada) Nov 2. 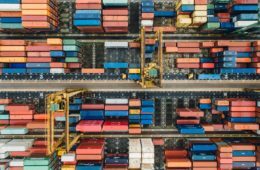 Iowa Farmer Today – “Panel brings global perspective to ag trade issues” Nov 4. 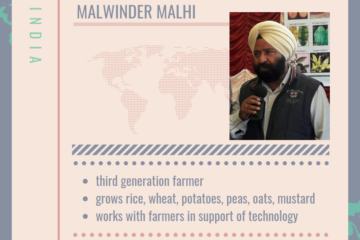 Best brains in the world deals with mother Earth to maintain soil conservation with technologies to eradicate nutritional hunger are members of Global FARMERS Network.